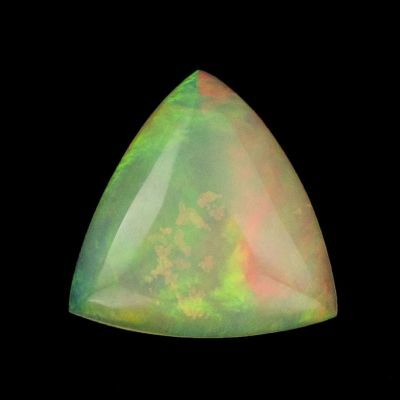 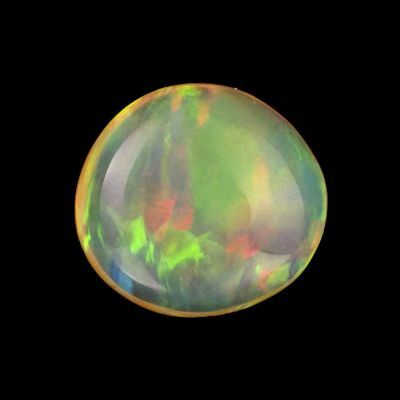 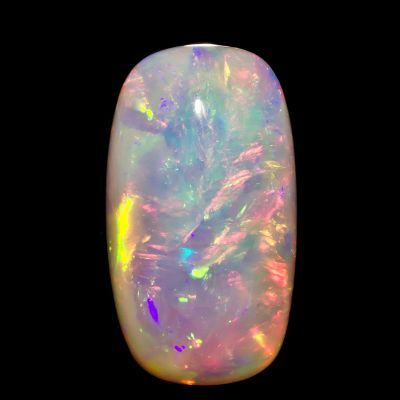 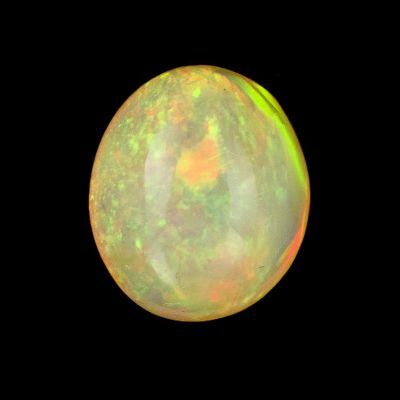 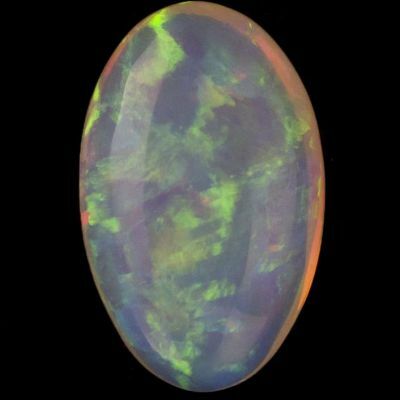 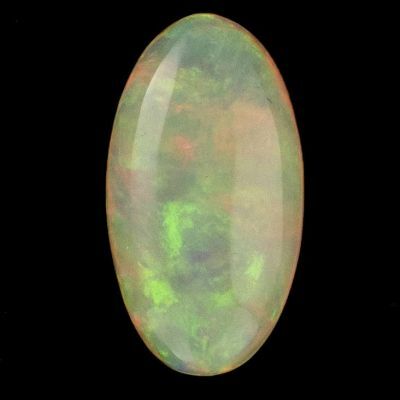 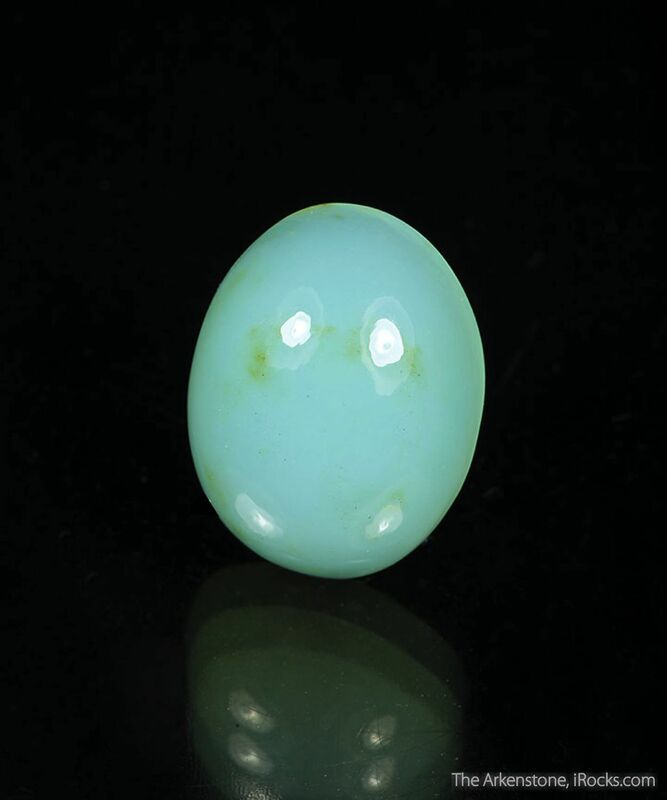 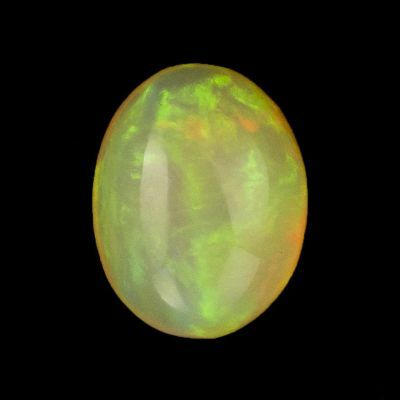 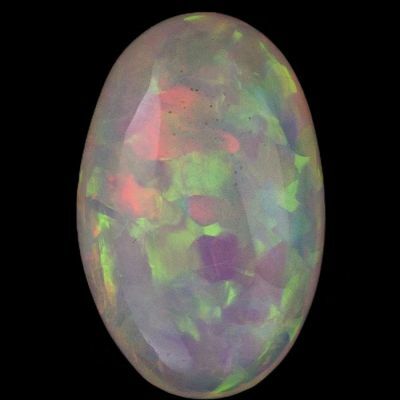 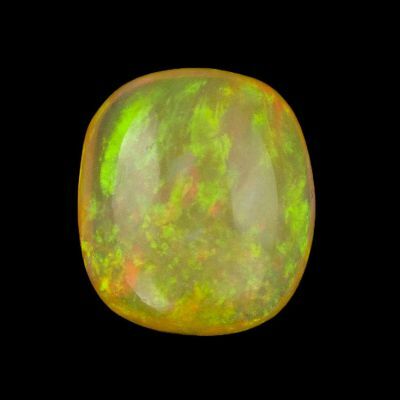 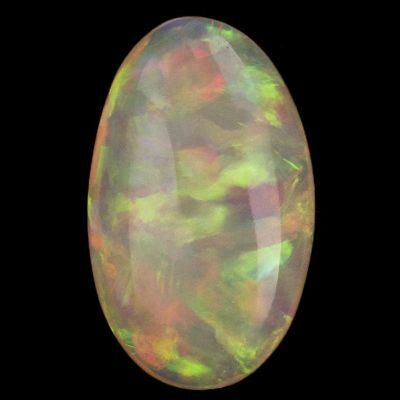 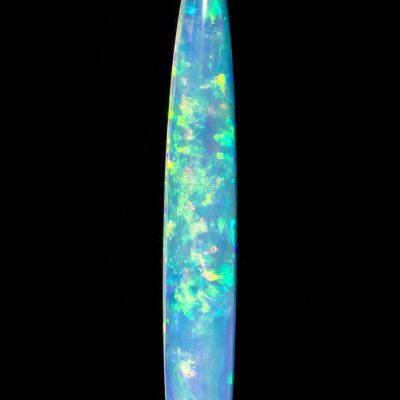 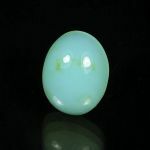 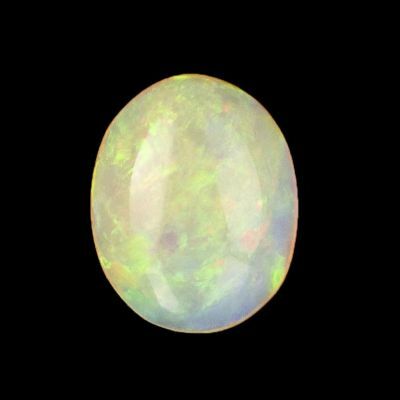 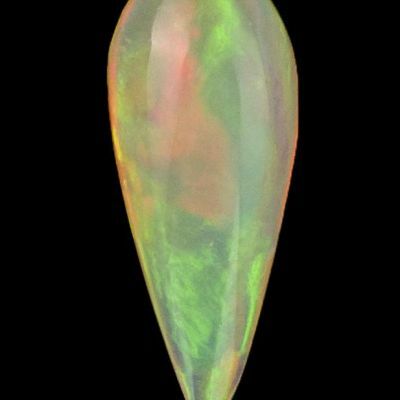 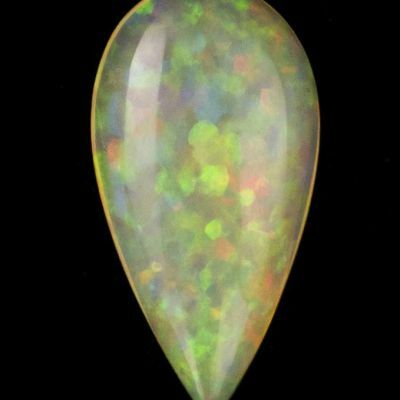 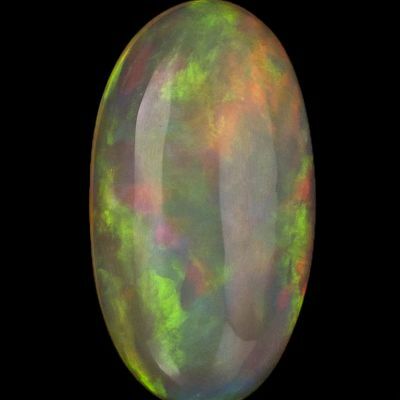 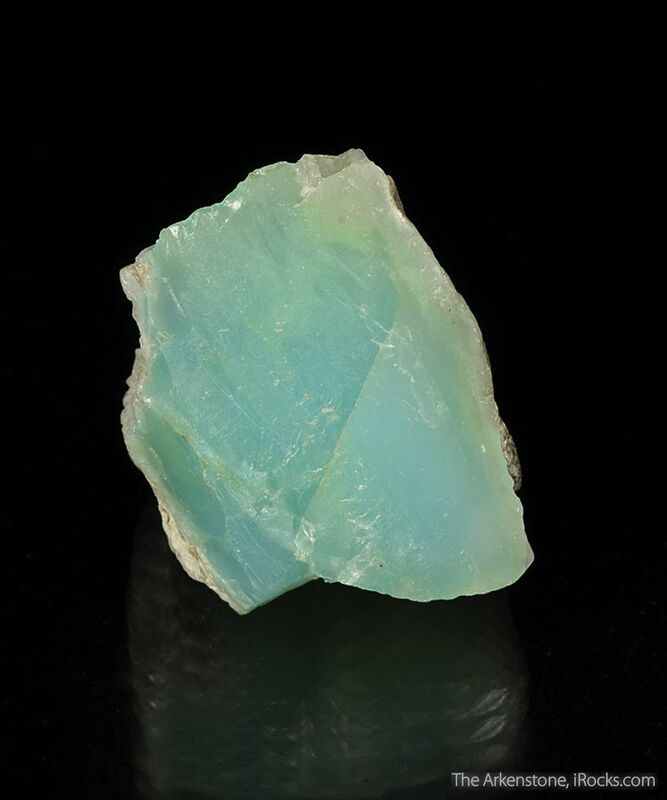 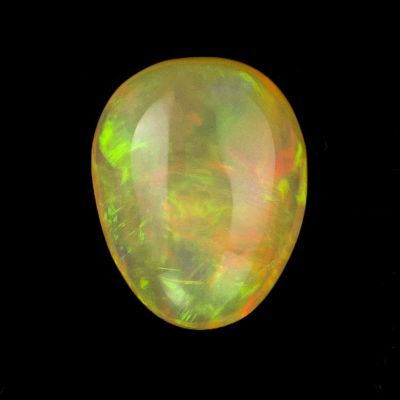 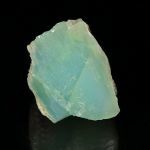 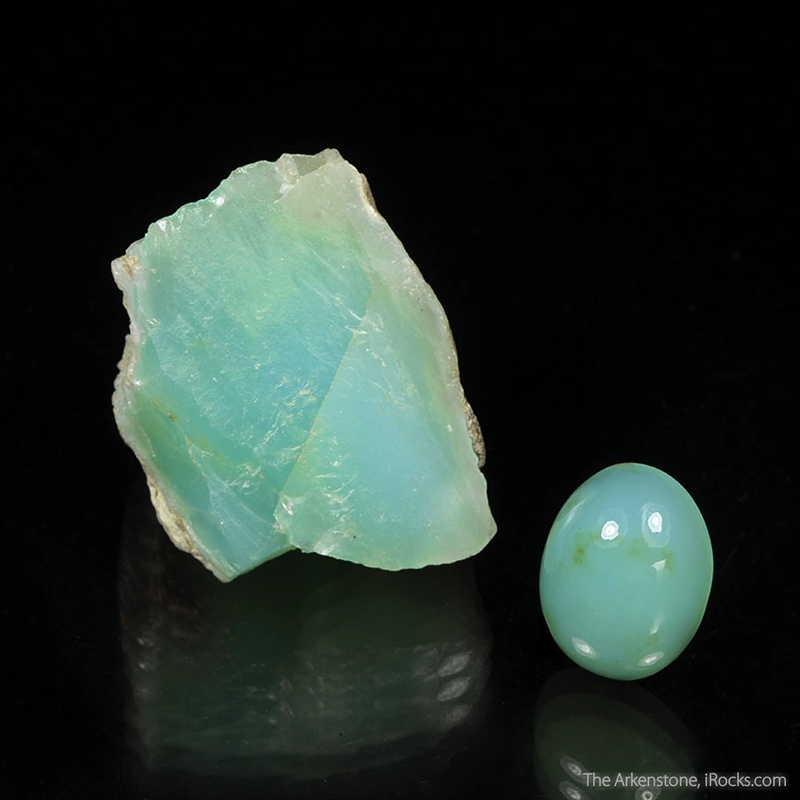 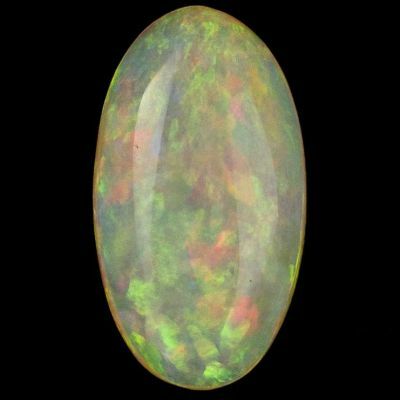 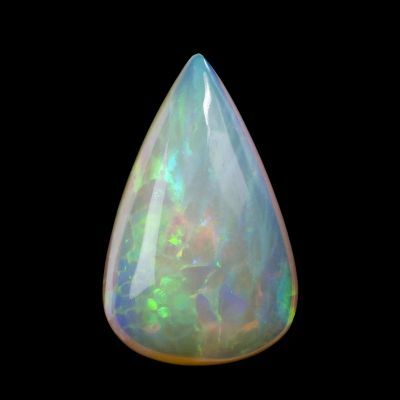 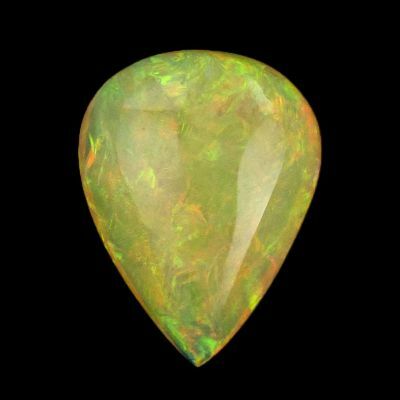 3.2 x 3.2 x 2.8 cm (Specimen); 12.71 carats; 19.26 mm x 14.70 mm (Gem) - This is some of the most well known Opal to hit to market, mostly because of its notable blue color. This rough and cut set features a gorgeous blue "Oval" cabochon gem with a rich, thick piece of the rough from which this material is cut. 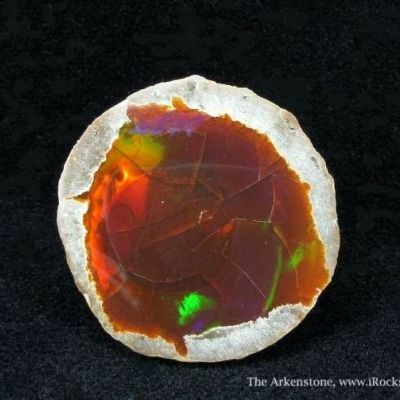 Both pieces have virtually pure color throughout with virtually no black or brown spots, which can be present in lesser quality material.